MOSCOW, May 16. /TASS/. 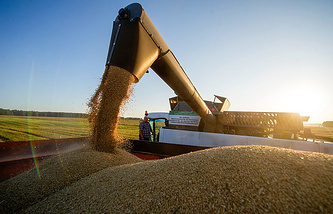 Exports of the Russian grain to China reached a record-breaking level in this agricultural year and is above 1 mln tonnes first time, the Russian veterinary and phytosanitary watchdog Rosselkhoznadzor says on Wednesday. According to the Argus Phyto system, 1.23 mln tonnes of grain were supplied to the China market from July 1, 2017 to May 15 of this year. Deliveries were twice lower and amounted to 503,000 tonnes in the previous agricultural year from July 1, 2016 to June 30, 2017, the regulator told TASS. 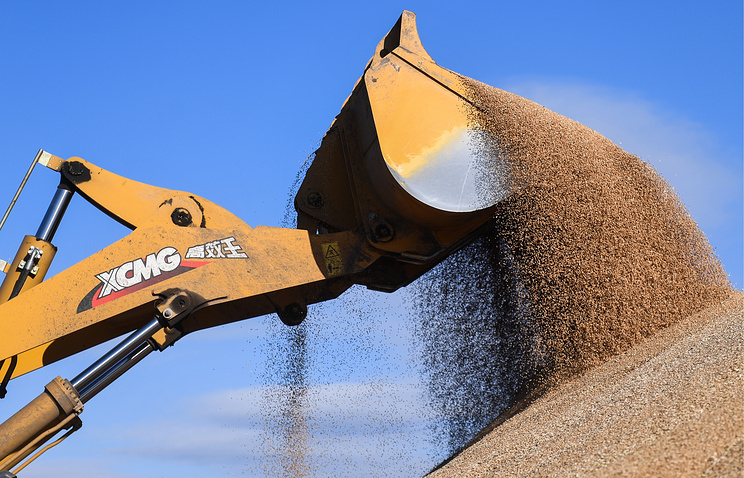 The Russian Ministry of Agriculture forecasts grain export growth to 52 mln tonnes as of the end of this agricultural year ending on June 30. China is mainly buying soybeans, colza seeds, wheat and corn in Russia. Furthermore, deliveries of buckwheat, flax seeds, sunflower and oats seeds have started recently. China is thirteenth among top importers of the Russian grain and can join the top ten group shortly, Rosselkhoznadzor notes.